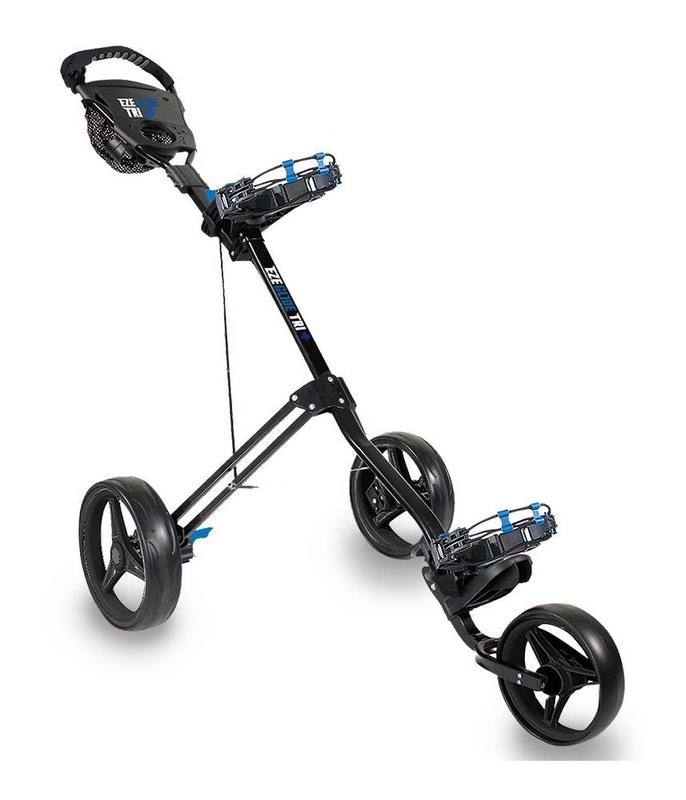 The Eze Glide Tri Plus Push Trolley features lightweight easy to open and fold construction designed to cater for your every need on and off the golf course. 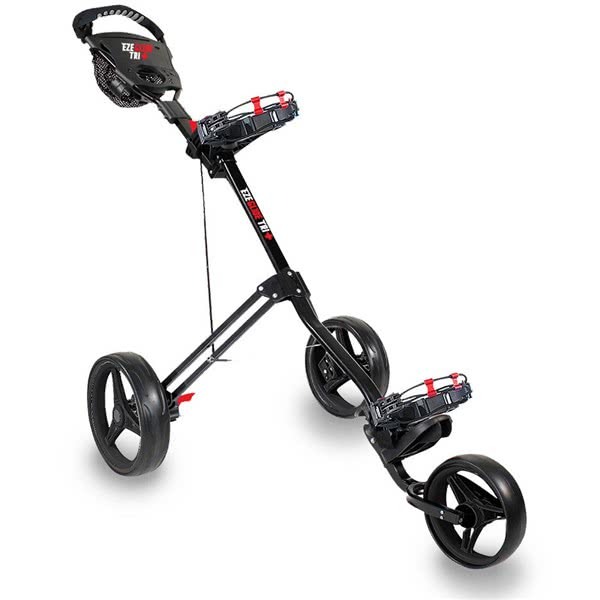 A tough durable frame features an easy fold mechanism that can be set up in seconds. 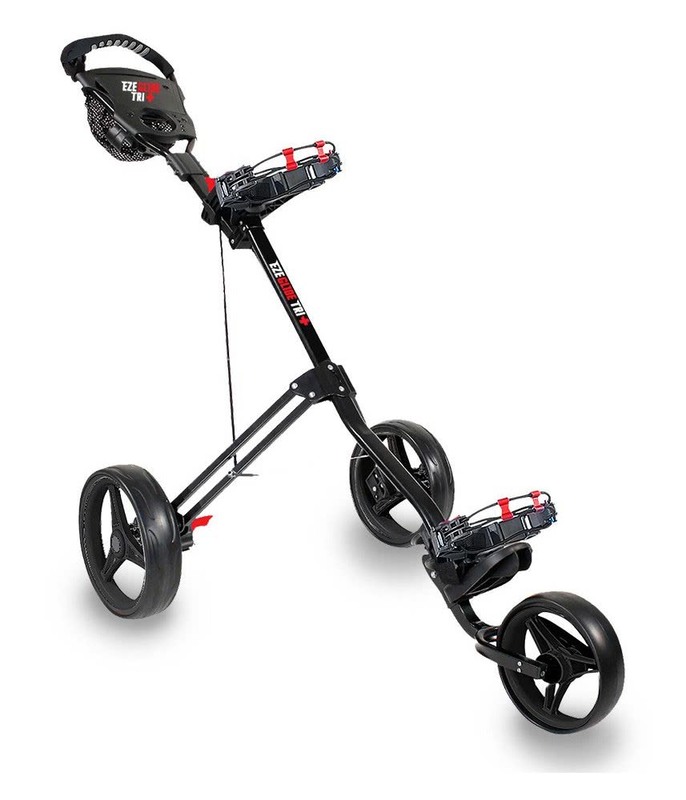 The trolley has a multi-function console that will allow you to store all your accessories. The soft ergonomic handle lets you easily maneuver the trolley with one or two hands. 11.5” back wheels and a 9.5” front wheel provide an effortless glide over all types of terrain. 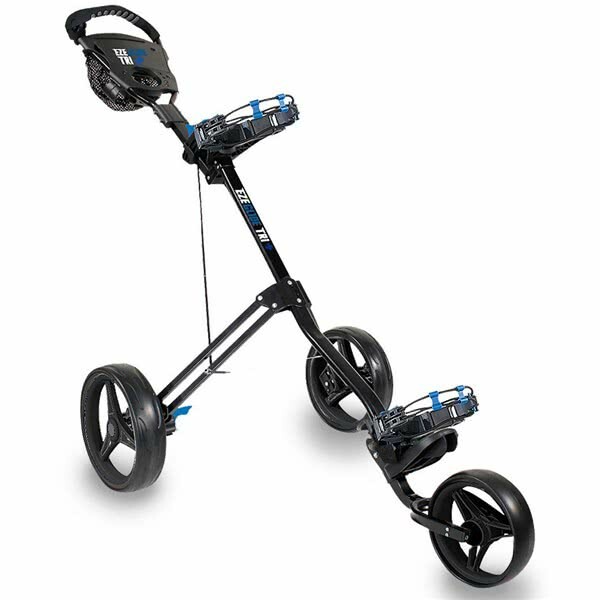 A conveniently positioned footbrake will enable you to stop the trolley on the steepest of slopes. 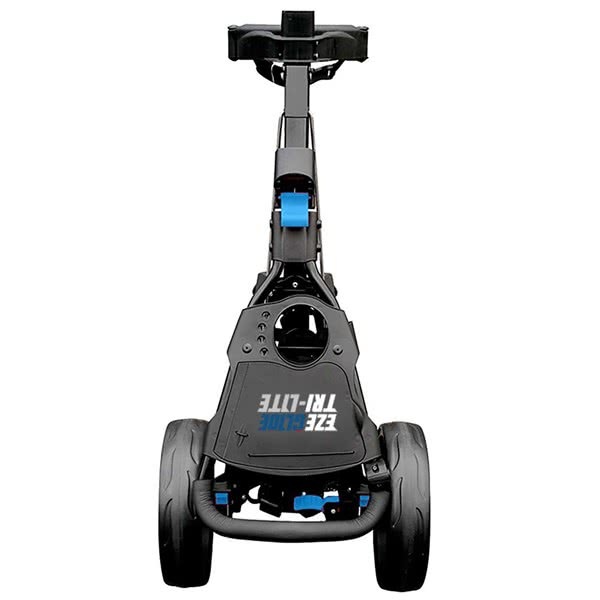 Another fantastic feature on the Eze Glide Tri Plus Push Trolley is the adjustable handle height. 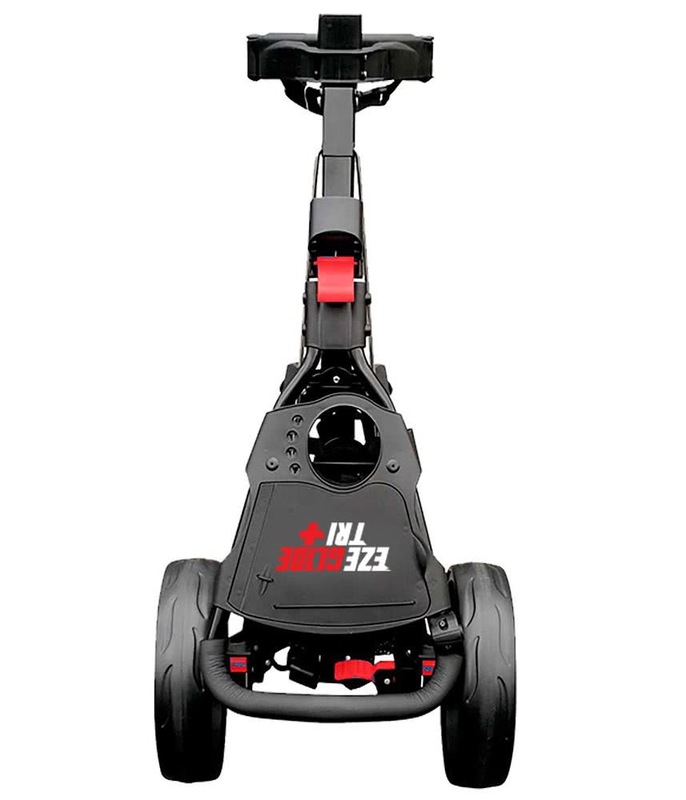 This design will allow you to tailor the fit for a comfortable, easy-to-use height.